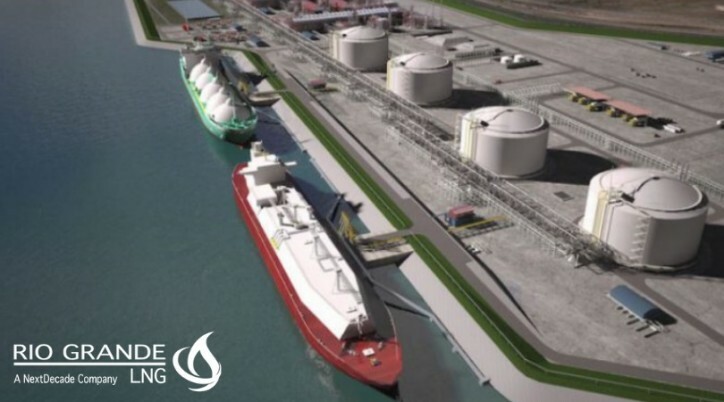 NextDecade Corporation (NextDecade) (NASDAQ: NEXT) announced Monday at the LNG2019 conference in Shanghai, a 20-year sale and purchase agreement (“SPA”) with Shell NA LNG LLC (Shell) for the supply of two million tons per annum (“MTPA”) of liquefied natural gas (“LNG”) from NextDecade’s Rio Grande LNG export project in Brownsville, Texas. “We are honored to have Shell as the first foundation customer of our Rio Grande LNG project,” said Matt Schatzman, NextDecade’s President and Chief Executive Officer. NextDecade is an LNG development company focused on LNG export projects and associated pipelines in Texas. NextDecade intends to develop the largest LNG export solution linking Permian Basin associated gas to the global LNG market, creating value for producers, customers, and stockholders. Its portfolio of LNG projects includes the 27 mtpa Rio Grande LNG export facility in Brownsville, Texas and the 4.5 Bcf/d Rio Bravo Pipeline that would transport natural gas from the Agua Dulce area to Rio Grande LNG. NextDecade’s technology selections are expected to foster operational reliability and afford NextDecade’s customers access to reliable, low-cost, abundant natural gas from the Permian Basin, Eagle Ford Shale, and other basins.